As a property owner, you know time is money. Any time you spend not serving customers due to a flood or fire can result in lost revenue and possibly clients. Because of this, the team at 911 Restoration of Portland is available 24/7, 365 days a year to provide commercial restoration services when disaster strikes. Experiencing a disaster on your commercial property can be overwhelming. Our team works to ensure you don’t go through it alone. In the case of an emergency situation, our team will respond within 45 minutes of your call to begin commercial restoration. We will provide a thorough assessment of the damage and check to make sure there is no other potential issues that may arise. The highly trained team of IICRC technicians will have your property back to a fresh new start in no time. Call 911 Restoration of Portland when your property experiences an emergency such as: water, fire, sewage or mold. Our commercial restoration process includes everything needed to repair your property and your peace of mind. If commercial restoration is what you are looking for, contact our team today! In Portland, experiencing a harsh winter storm comes as no surprise. Heavy snows can lead to torrential floods when the temperature begins to rise. Snow then begins to melt around the property and can easily navigate its way into cracks in the foundation, causing flooding and damage to the property’s interior. 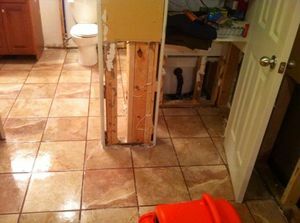 Handling water damage on your own can lead to creating more problems for the future. Our team will properly evaluate the property for damage and check for other potential harm. We will use advanced water damage removal methods in order to get your property back to pre-damage shape as quickly as possible. As a commercial property owner, it is essential to be wary of weather conditions in your area. Especially when they can lead to property damage. If your property experiences water damage to the point of needing professional help and remediation services, you can trust the team at 911 Restoration of Portland to be there for you. 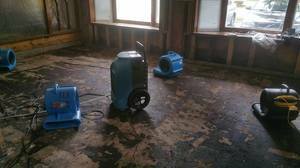 We understand the impact water damage can have on a commercial property. Our team will act fast to extract the water damage and begin drying immediately to prevent other issues, like mold, from occurring. 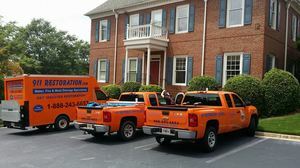 If your property has experienced water damage and is in need of a team to provide commercial restoration that is quick and efficient, call us today! At 911 Restoration of Portland we strive to provide the best commercial restoration and customer service in the industry. Our team stays up-to-date with the latest technologies in order to provide our customers with the highest level of commercial restoration possible. Property damage is always inconvenient. When the need for commercial restoration services arises, don’t try to handle it on your own. 911 Restoration of Portland’s team of highly trained technicians will work to restore your property and get it back to a fresh new start. Our team truly cares about restoring your property and giving you the peace of mind needed during this devastating period. We will work around the clock to provide your property with maximum results, while keeping the disruption of your day-to-day business at a minimum. If you have experienced property damage and are in search of making your business better than new, call the team at 911 Restoration today.